High-quality t-shirt based on the hit Parks and Recreation television series! Commit yourself to looking good, with this Parks and Recreation Pawnee Sign Juniors T-Shirt! 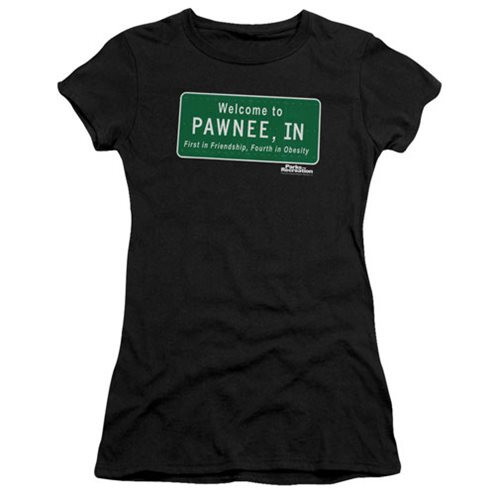 The shirt features an image of the Pawnee city sign from Parks and Recreation, that says "Welcome to Pawnee, IN. First in friendship, fourth in obesity." The high-quality pre shrunk womens shirt is made of 100% cotton. Machine washable.